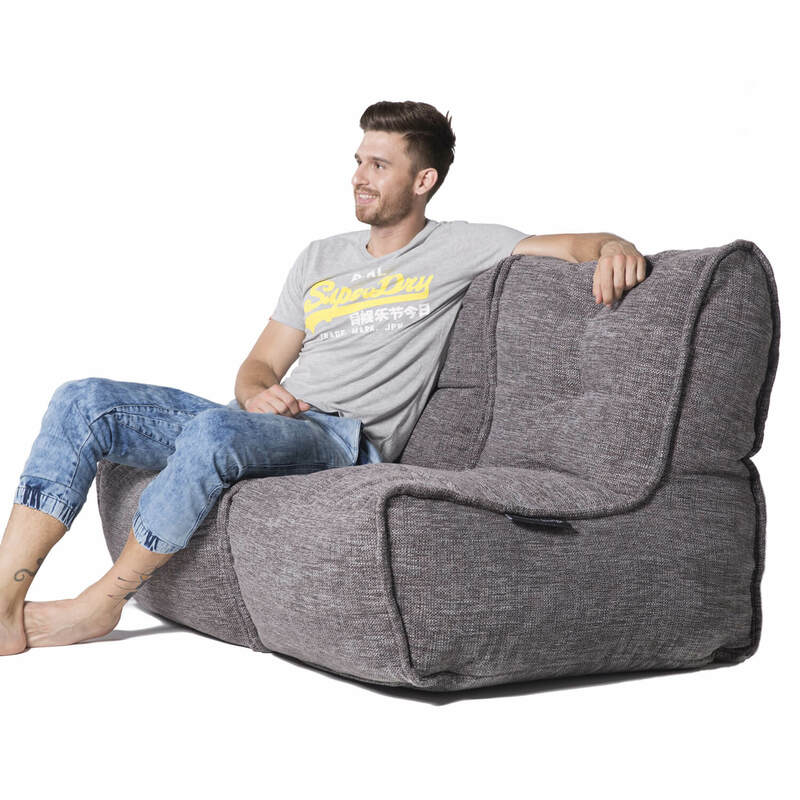 The complete modern living room solution, the Ambient Lounge® Max will amaze you with its sheer luxurious comfort, it’s supportive structure, it’s lightweight versatility and it’s beautiful designer looks. It’s big. It’s heavenly– and it’s gorgeously tactile … oh …. did we mention it’s BIG? Can seat up to 4 Sumo wrestlers and a few Maori warriors with ease… so no worries about your kids or home crew. See why Interior designers and architects are raving about this soft modular revolution by Ambient Lounge. 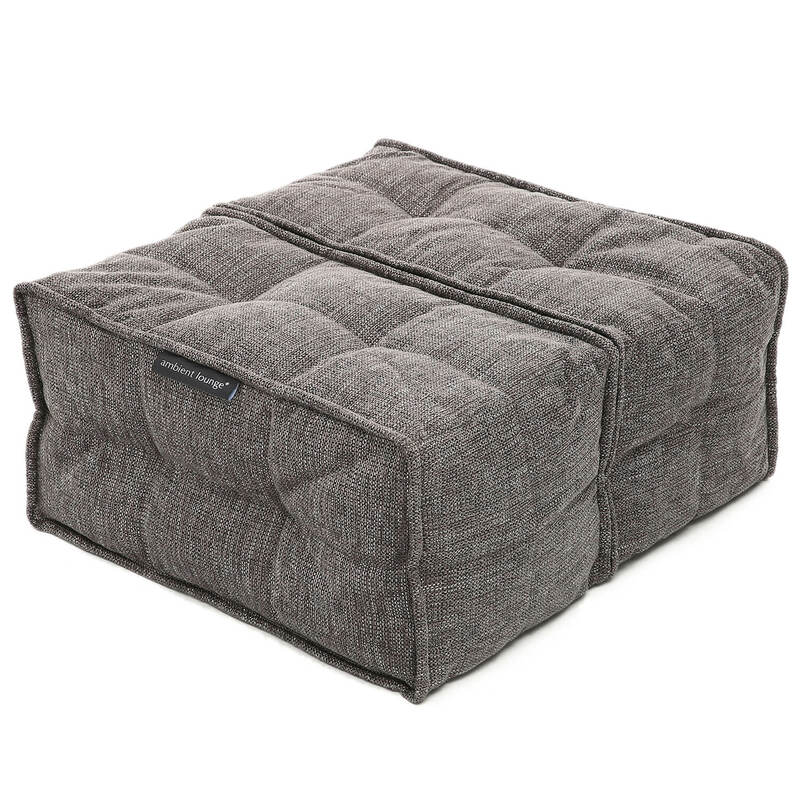 Ideal for Co-living spaces, family home entertainment areas, hotel lobby and airport lounges, design studio receptions, industrial renovation spaces or kids rumpus rooms – this epic, quilted modular setup will probably have a few of your rowdy household sleeping before bedtime. Problem solved! Set it up as a living room centrepiece or against a back wall – suits big expansive spaces. Suitable with most interior colour schemes but goes best with other shades of grey/black, reds or brightly coloured interiors. Probably the softest fabric in the range. Feels lovely directly on your skin. 90% Polyester, 10% Acrylic, 580 gm weigth. If your open weave fabric thread becomes loose, simply cut it off. Do not pull it. Dust is best removed using your hand vacuum with the appropriate attachment. Avoid harsh brushing and sharp objects (rings, buckles, toys) as it may cause snagging of threads. To avoid your bean bag fading, it is best not to expose it to direct sunlight. For best safety, Your furniture should be placed at least 50cm away from any heat source. During the first 3-6 months, bead filling/padding will compress slightly and may require top up. This is to be considered as normal wear and a good reason why you should use the best quality beads such as our Ultra-Bead. As tempting as it may be, armrests & backrests are not designed to take seating weight so please try to sit as conventionally as possible. 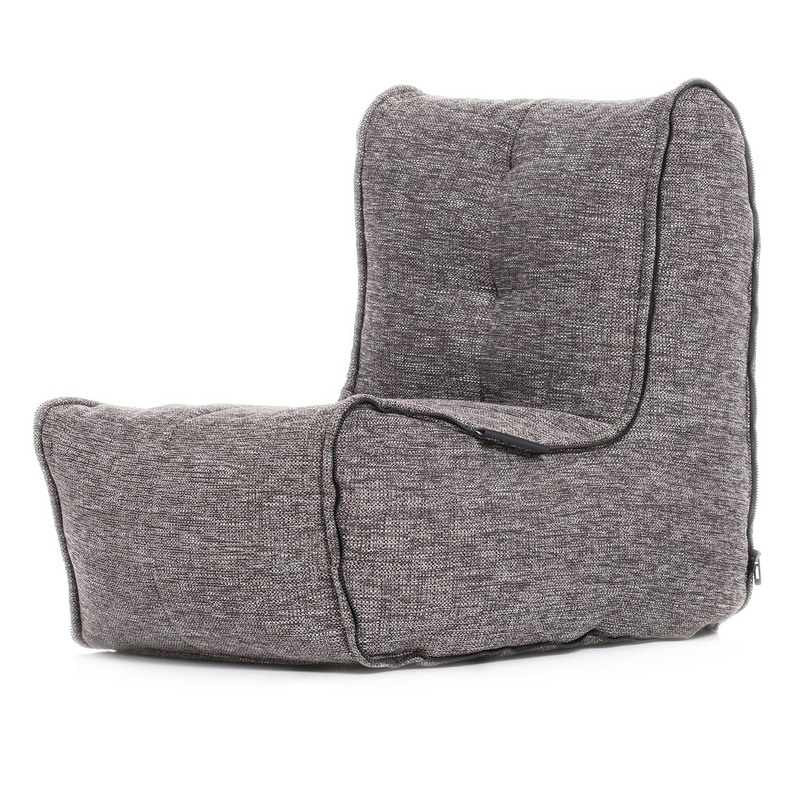 To keep your bean bag furniture looking amazing, you should plump and shake it after use to the bead filling and fabric return to their initial appearance.